During last night’s episode of NXT, Mauro Ranallo provided an injury update on one half of War Raiders, Hanson. It was revealed that Hanson suffered multiple injuries during the War Games clash at WWE’s recent NXT TakeOver event. Ranallo listed off the injuries, which included: broken ribs, a ruptured spleen, and multiple torn ligaments. The announcement stated that the War Raiders haven’t competed since TakeOver on November 17th during Survivor Series weekend. This, however, isn’t the case as the tag team performed at recent NXT Live events on November 30th and December 1st. They would defeat Danny Burch and Oney Lorcan and the team of Dan Matha and Kona Reeves, respectively. With Hanson out of action, it is unknown whether the team will be written off until he has healed up. They didn’t work the recent set of TV tapings. “It is now known that The War Raiders’ Hanson suffered broken ribs, a ruptured spleen and torn ligaments in last month’s WarGames Match against The Undisputed ERA. The injuries, which were previously unspecified, were reported by Mauro Ranallo on tonight’s edition of WWE NXT. There’s never a good time to suffer an injury, let alone as many as Hanson reportedly has during one match. 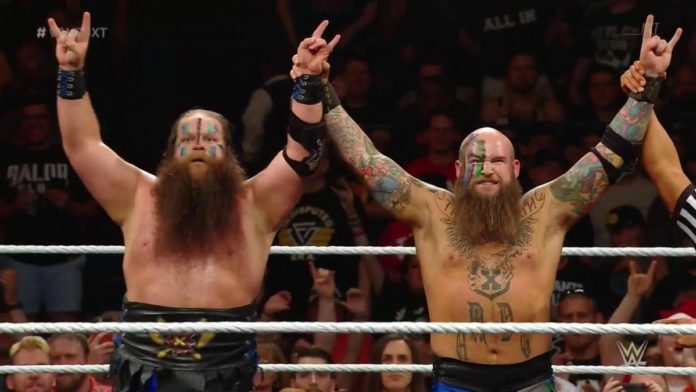 Given how the War Raiders have been primed for a top position within NXT, it’s a shame to see them suffer such an unfortunate halt to their progression.